AMAZING Opportunity to Own This Immaculate 3 Bedroom Home Located in Desirable Wynnefield Development in the Heart of Freehold Township. 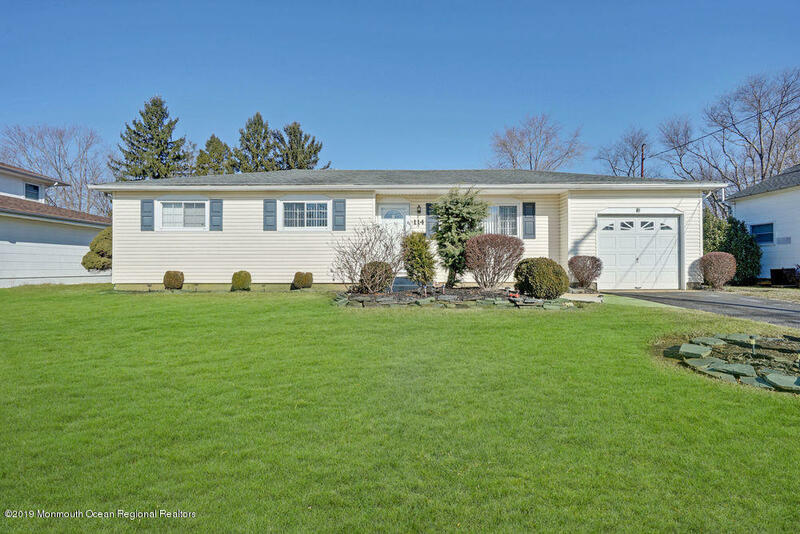 This Ranch Home Offers Sun Filled Living Room, Spacious Eat In Kitchen w/Recessed Lighting & Sliders to Yard, Beautiful Renovated Bath w/Dual Sinks & A Full DRY Basement. The Exterior Boasts Gorgeous Curb Appeal, Attached Garage, Fully Fenced Large Level Lot, Inground Pool w/Loop Lock Cover & Newer Liner, BBQ Line, Retractable Awning & Basketball Court. Fabulous Freehold Township School System and Ideally Located to All Major Highways, Shopping, Beaches & NYC Transportation. Truly A Beautiful Home & A RARE FIND!